BRAOU B.Ed Admission 2019 Form | Process | Notice | BRAOU Correspondence Distance B.Ed Admission 2019 |Eligibility | Cut Off | Result | Last Date BRAOU B.Ed Admission 2019-20. Applications are invited by Dr.B.R. 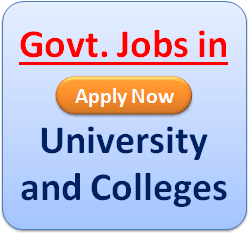 Ambedkar Open University (BRAOU), for admission to Bachelor of Education (B.Ed) Course commencing in the session January 2014. The Bachelor of Education (B. Ed.) Programme of BRAOU aims at developing the understanding and competencies required by practicing teachers for effective teaching-learning process at the secondary stage. Duration of the Course: The minimum duration of the programme at BRAOU is two years. However, the maximum period allowed for completion of the programme will be four years. Admission and Admission Process : Admissions are made strictly on the basis of merit in the Entrance Test. Only those candidates whose eligibility criteria fixed by the University will be admitted. Admissions will be done on the basis of the score obtained in the Entrance Test conducted by BRAOU. The candidate will be required to submit only the filled-in application form without any enclosures. The enclosures (documents) mentioned in the instructions for filling-in the application form to be submitted later after receiving the letter of offer for admission counselling to B.Ed. from the University after the entrance test. Programme Fee : The Programme fee is Rs.18, 000/- for the entire programme of two years. BRAOU B.Ed admission Eligibility: Applicants should have BA/B.Sc/B.Com B.Sc. Home Science/BCA/BBM/BBA from any University recognised by UGC & Minimum 2 years teaching experience at the time of admissions as a full time regular teacher or as a Temporary teacher in any Primary/Middle/High School recognized by State/Central/Govt/Union Territory. How to get Application Form: Applications can be obtained by submitting a Challan (SBH) or DD from any nationalized bank in favour of “The Registrar, Dr. B.R. Ambedkar Open University” payable at Hyderabad either from the University headquarters,or Programme Centre & or any Regional Coordination Centres listed below of Dr. B.R. Ambedkar Open University . Filled in Application Forms shall be submitted along with a registration fee of Rs.100/- Challan (SBH) or DD at the RCC’s/Programme centres either in person or by post on or before the last date. The Entrance Test will be held on Nov, 2014 Hall tickets will be provided to the candidates before 10 days of the Entrance Test. In case of non-receipt of Hall Tickets 3 days before the date of Entrance Test. 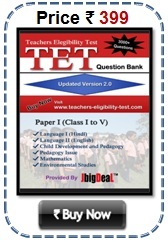 I would like to apply for B.ED.Spl. education for visually impraired and for that the duration of course fee particulars etc. i am working in eurokids pre primary school for last 2 years. i completed PPTTC under AP Govt. regular course. can i get admission in distance mode B.
i am working in eurokids pre primary school for last 2 years. i completed PPTTC under AP Govt. regular course. can i get admission in distance mode B.ed? 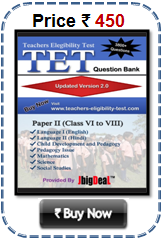 Is there any notification released for admission into distance b.ed for in service teachers? If yes pls specify the link..
on 14-2-2016 i attempt the entrance for b ed,and i got 56 marks. may i know that i qualified in the test for admission. please give the reply as much as posibble. Sir, I want to take admission in B.ED from BRAOU. So please sent details for this. Sir, I want to take admission in B.ED from BRAOU. So please sent a details for this. I completed my B.A. from DR.B.R.AOU now i want to do B.Ed from DR.B.R.AOU. i want to know the fee details of B.Ed (2 years) and also i want to know details of admission notification of B.Ed for 2015/2016.